Exceptional scenery, some of the world’s best cuisine, a beautiful “fishing village” feel, a world class music and arts scene, all the benefits of a much larger city without the business or crowds, short drives away from beautiful beaches, incredible forests, and deep, rugged, wilderness. If all of the above sounds to you like a great holiday destination – read on! 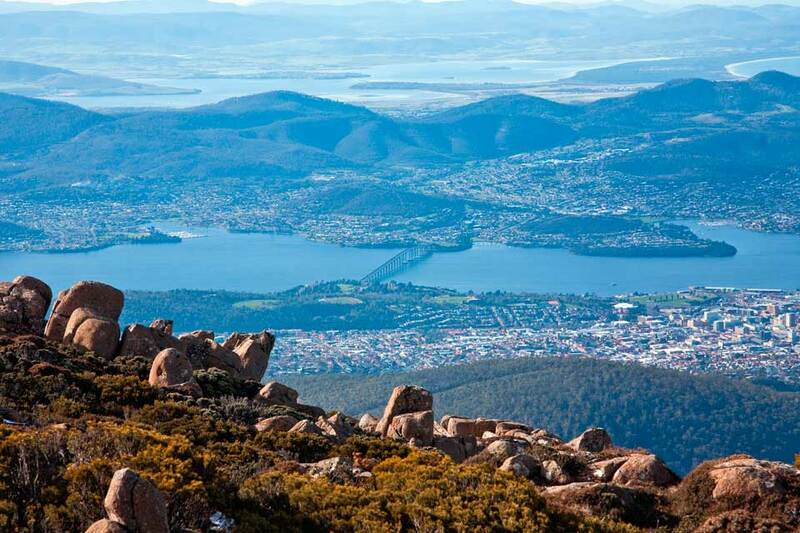 The above description refers to Hobart, the capital of Tasmania, Australia’s island state. Hobart is a pleasant surprise to each and every visitor who is lucky enough to discover this hidden gem in Australia’s crown. Originally a port town, and still a major southern hemisphere port, Hobart uses this to its advantage – it is set on a beautiful river, there are large, picturesque docks to walk around, and an abundance of fantastic local seafood on offer. 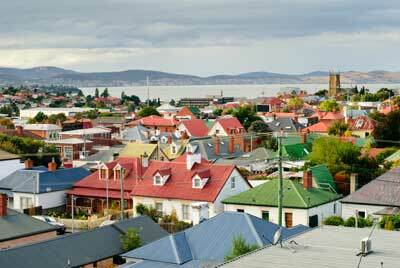 Hobart should not be dismissed as a small fishing village though, it has so much more than that to offer. With a population of around 300,000, the town itself is relatively small, though it is the major population center in Tasmania and as a result, has all the benefits of a much larger city. The dining on offer in Hobart is of the quality of a much larger city, with many great chefs specifically moving to the area to take advantage of the abundance of incredible, local ingredients. Similarly, the cultural and arts scene in Hobart is never disappointing – whatever time of year you visit this town there will be something on offer, with great festivals running in summer, winter, and everything in between. Recently, the fantastic Museum of Old and New Art has taken art in Hobart to the next level, with incredible modern and historic displays set in an absolutely stunning gallery (with a vineyard to boot!). While all of these features help make Hobart such a special place to visit, the island state of Australia has so much more to offer than just this particular town. Tasmania is small, relatively underpopulated, and easy to navigate, making it the perfect destination for a van rental vacation. A Hobart van rental will allow you to explore the whole state once you have experienced all that Hobart has to offer. It’s not like you have to drive a long way – within an hour of Hobart you can be tasting exceptional local wine in the beautiful hills of the Coal River Valley, exploring the incredibly atmospheric penal colony of Port Arthur, one of Australia’s oldest convict settlements and a World Heritage listed site. Similarly, a van rental in Hobart can let you explore the beautiful beaches located short distances from the city, hike along spectacular, rugged coastal cliffs, or explore the numerous old growth forests in Tasmania. The wilderness is really what makes this state so special, with a vast amount of Tasmania’s old growth forests being conserved and world heritage listed. Walking through these incredible forests gives a sense that you are the only person in the world, and it’s hard to believe that they are located a mere hour away from the main population center of the state! If you have a little more time on your hands, a van rental in Hobart can help you explore further afield. A three hour drive up the east coast of the state will provide you with some stunning views of coastline and the best beaches in the state – beautiful white sands and crystal clear water. It’s also not unusual to see whales in the area, so keep your eyes open! Hobart (and Tasmania in general) truly will blow your mind with its beauty, history and friendly, welcoming atmosphere.